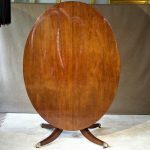 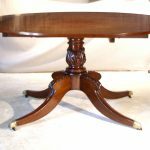 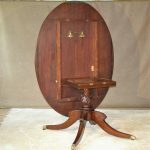 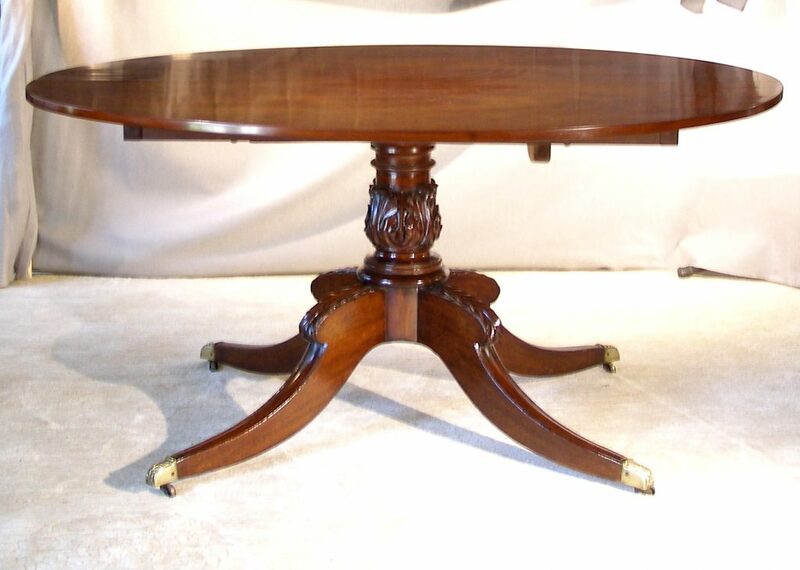 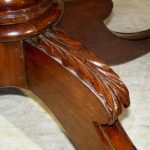 A solid mahogany English tilt top “breakfast” table made near the end of the George III or early Regency period. 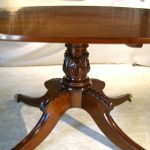 These tables were made to save on floor space when not in use which is why they are on wheels and the top tips to the vertical position. 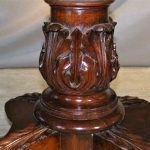 The center post is deeply carved with leafage. 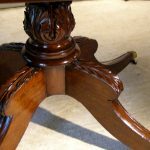 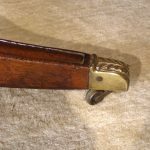 The interrupted saber legs have carved knees that echo the same design on the cast brass casters. 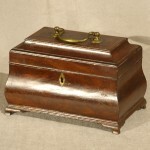 Very good antique condition with a polished finish over the usual signs of age.